1. The colour of the bathroom is significant, as it is responsible for the look, feel and your mood. When picking up your accessories to organise your bathroom try to make sure they coordinate, and this doesn’t necessarily have to colour coordinate to work. However, it does brighten and uniform the design. 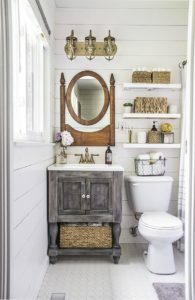 This bathroom used various storage methods such as cupboards, shelves, bottles, wall hooks and containers. 2. The bathroom tends to become cluttered with all sorts of stuff. Toothpaste here, sponges there and makeup brushes over there. Yes, I do understand it tends to get disorganised. 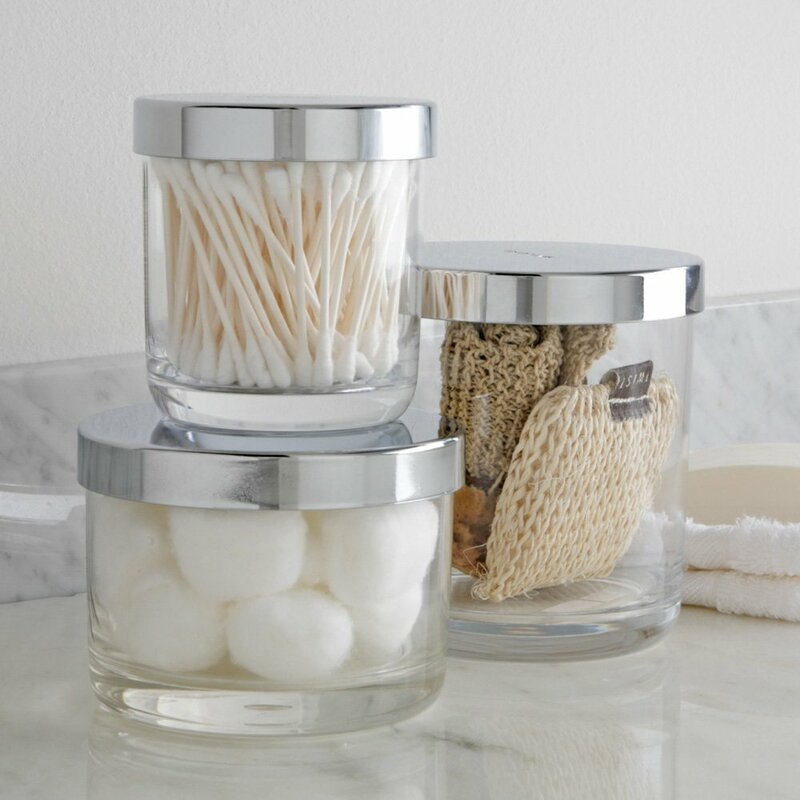 Canister, Apothecary jars can help to make your bathroom organised, tidy sleep and just beautiful. These containers are awesome because they hold almost everything. 3. Isn’t this cute! This bathroom was remodelled, details in the article at Bliss at Home. 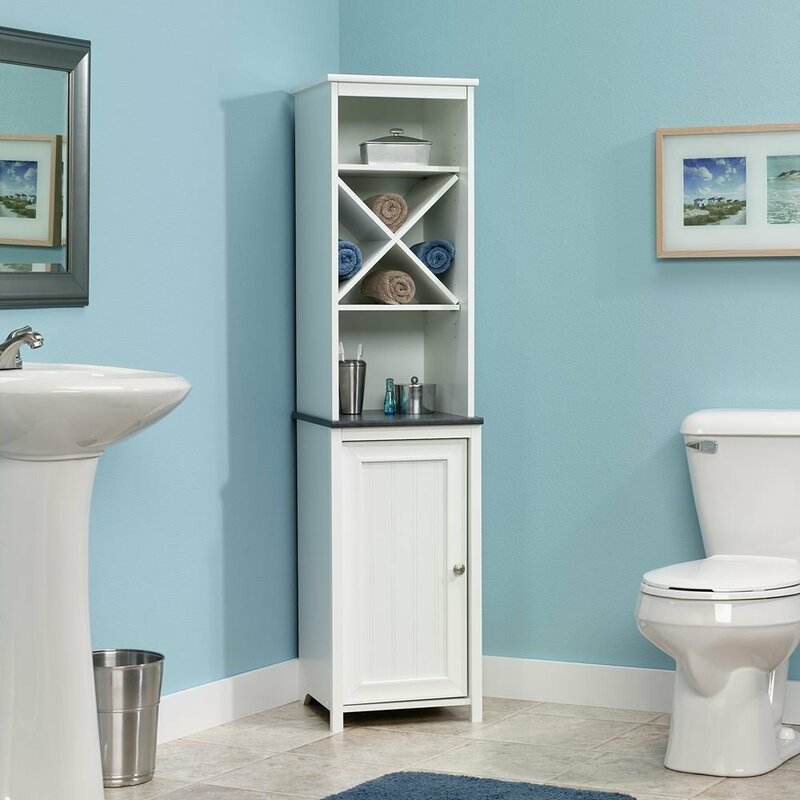 This bathroom contains a custom storage option inside their vanity which is often the primary preferred method of storage for most people. However, within the vanity includes other storage methods such as canisters, of course, draw dividers and shelves. If you notice the sneaky electrical outlet, this will help to hide and tuck away neatly electrical devices such as the blow-dryer and flat iron. 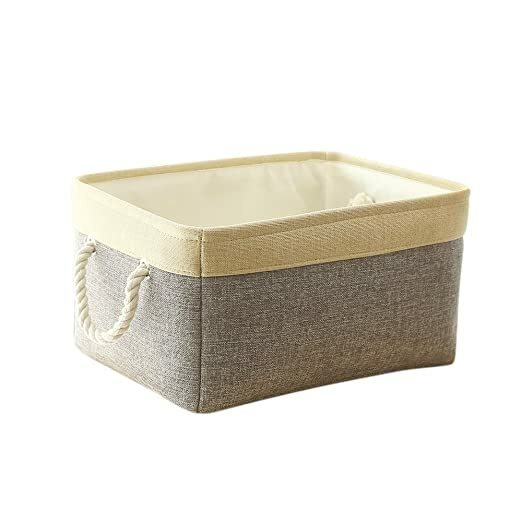 Within this draws there is a make-up box, dividers that hold toothbrushes, hairbrushes and other personal items. Check out Bliss at Home for the complete article. 4. This Open Shelf for storing bathroom toiletries and towels is perfect when you have a bigger bathroom that can hold a shelf this size. A shelf is ideal because it looks neat and when items are placed appropriately and coordinates, it looks uniformed thus, organised. Step by step tutorial here at Remodelaholic. 5. Caddies are great, believe me, caddies are not just for cleaning supplies. 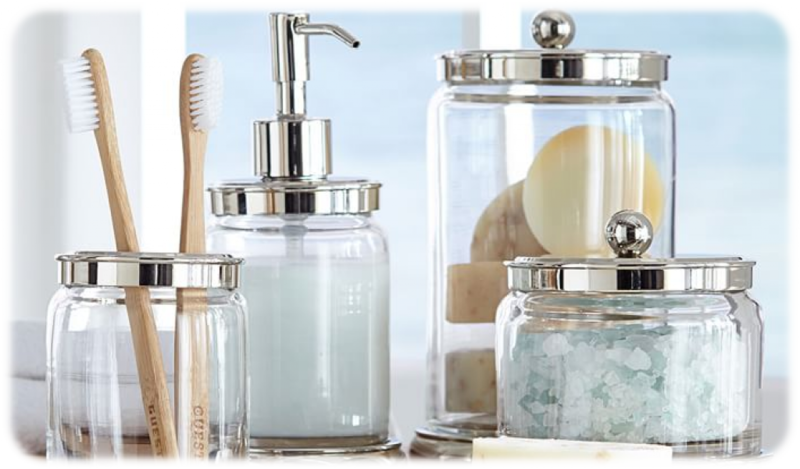 You can use caddies for your shower head and as accessories to hold items in your cupboard or vanity set. 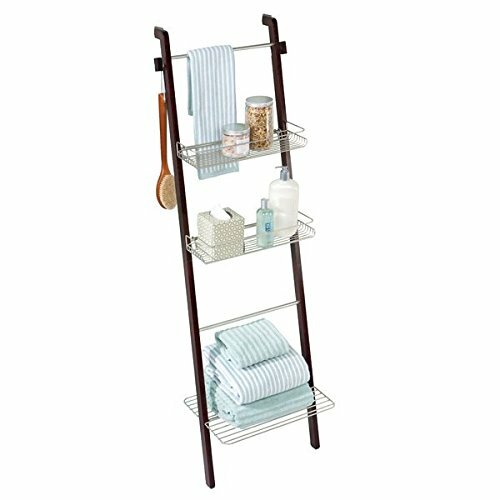 Or, you can opt to use a free standing or Shower Storage shelf. 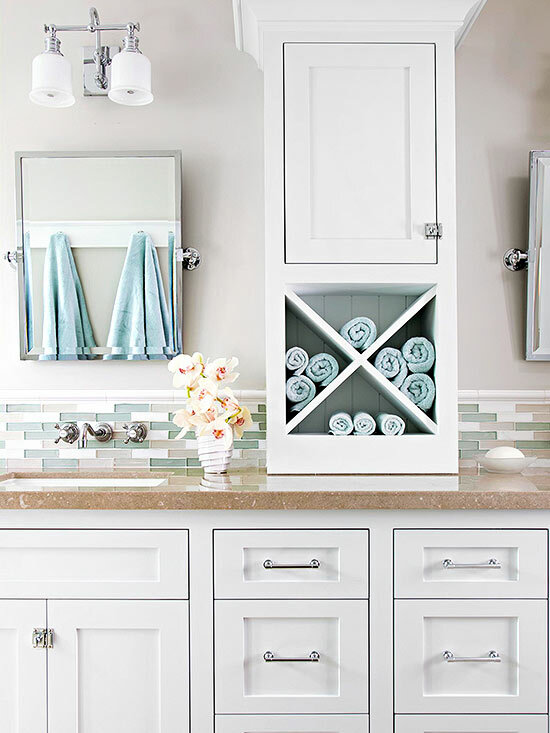 You can store towels, shampoo, lotion and other accessories. 6. Yet another gorgeous storage design idea. This one is my absolute favourite. 7. 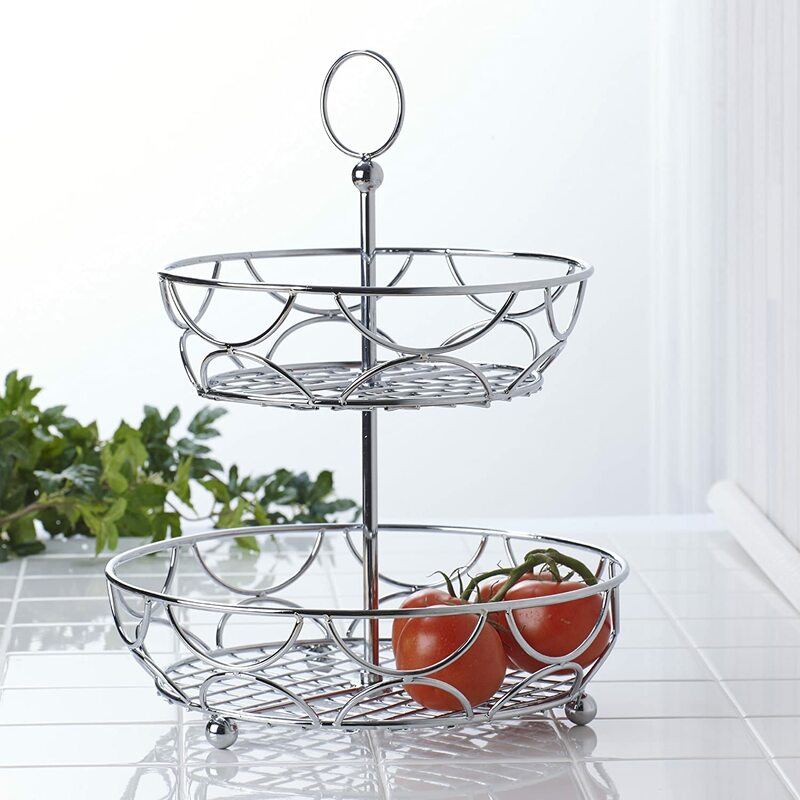 Having an open shelf is ideal to minimise clutter and organise items because it provides easy access to your items. 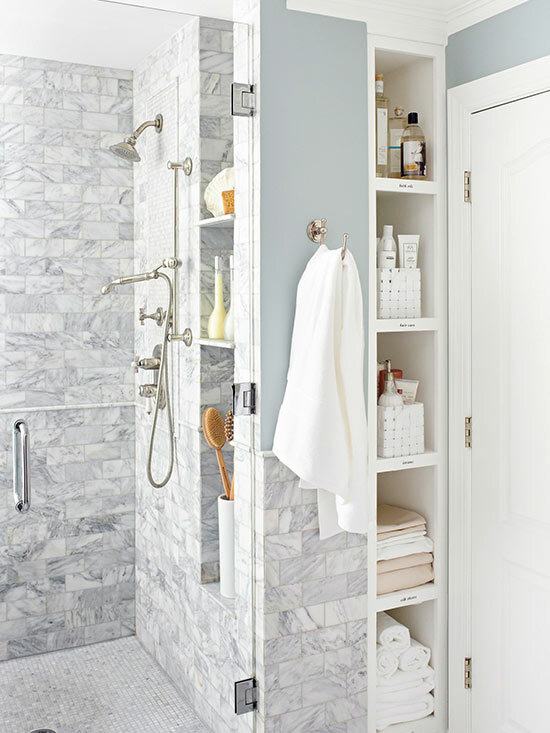 This is a sneaky storage idea that is not so obvious and is tucked away into the shower wall. 8. A double vanity for extra storage. This can store almost every bathroom items. Let me know what you think of the fabulous bathroom organising ideas and designs.